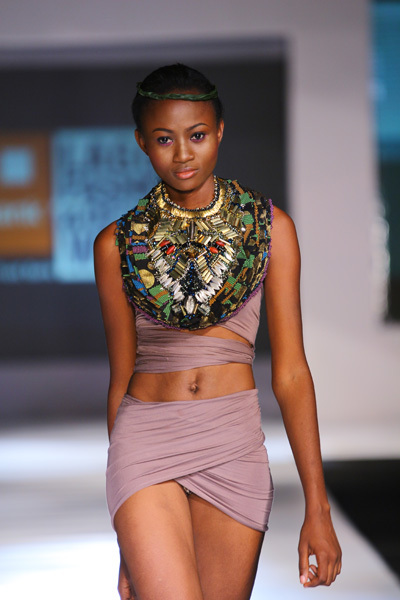 There are few craftsman who create unique and stylish accessories with a look of sophistication. 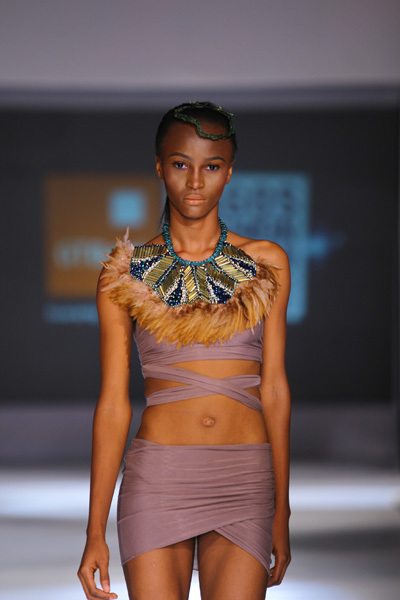 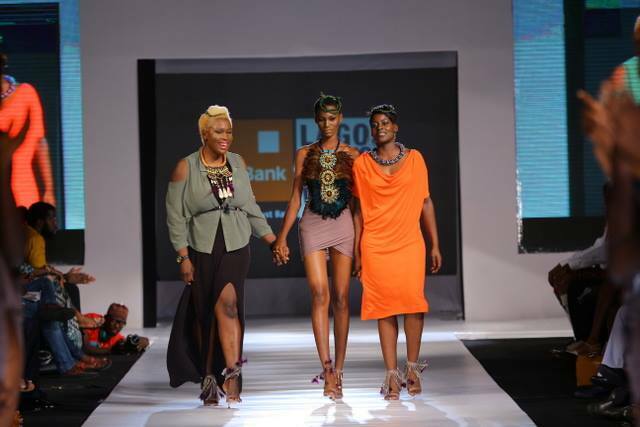 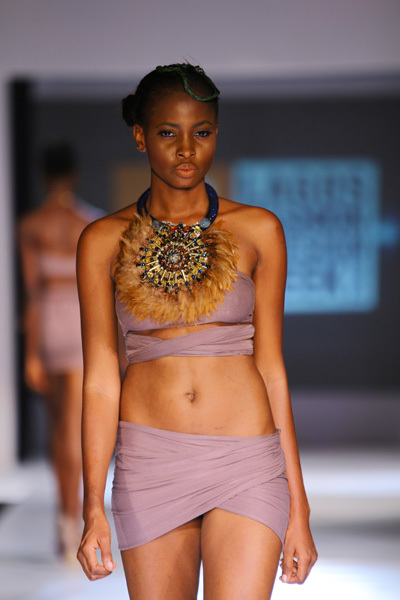 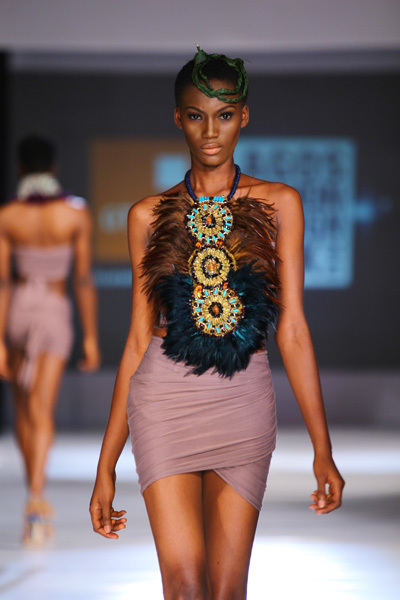 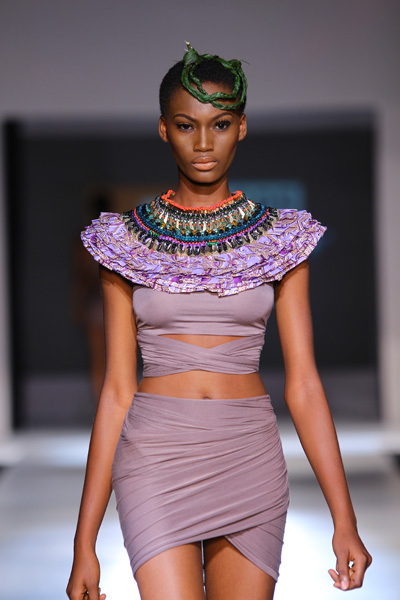 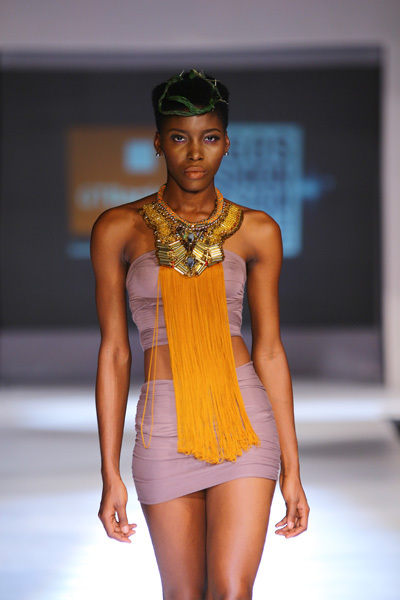 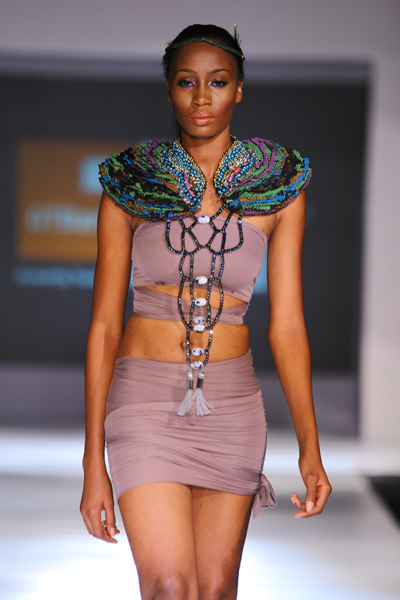 Anita Quansah is one of them and her new collection presented at the 2013 Lagos Fashion and Design Week proved that she is as unconventional as ever. 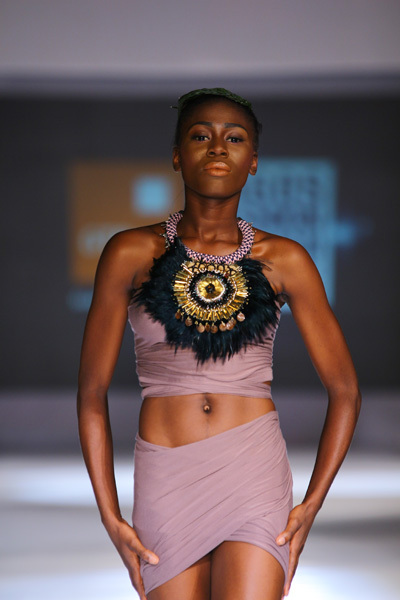 Anita Quansah presented incredible looking handmade jewelry for women who do conform to standards; women who choose to standout from the crowd. 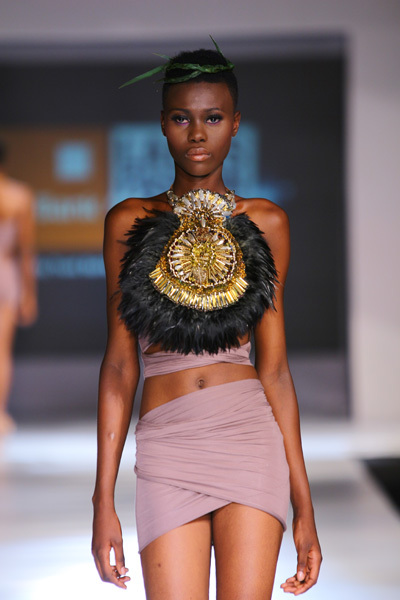 As always, each piece was eclectic, expressive, a bold statement neck art, rich in heritage and culture. 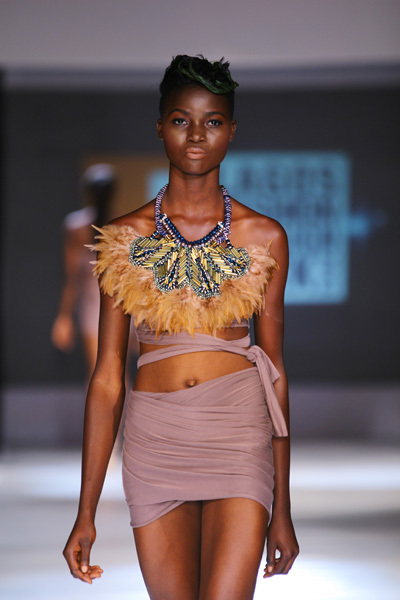 An array of materials were used to make them, from colorful beads of varying sizes to statement fringing and feathers that enhance the visual representation of African motifs. 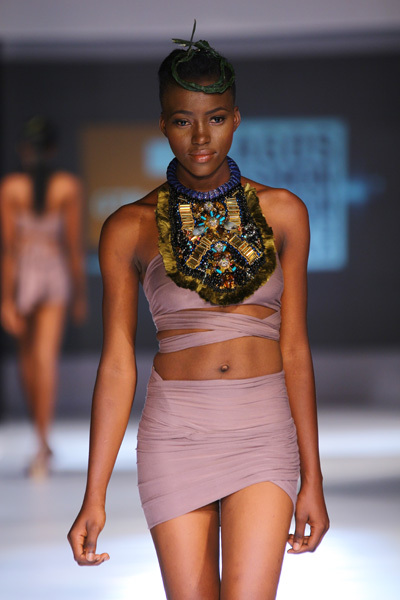 In short, the new collection is another hit, jewelry that are works of art to help any woman feel unique and stylish.